The Tocal Field Days is the Hunter's premier agricultural event. Its focus is on rural development, agricultural opportunities and market requirements. It is also a showcase for our food and wine producers within the region. The event attracts a crowd between 25,000 and 30,000 each year. 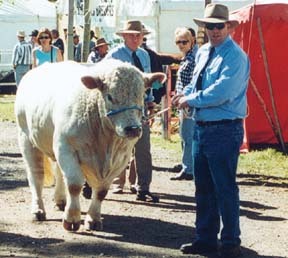 Tocal Field Days celebrated its 20th anniversary in 2003. The 20 years growth was a tribute to the hard work of all associated with the event, and a recognition of the importance of agriculture in the region.